When you need to make your office relocation as swift and affordable as possible, then perhaps you need to consider specialised office removal services as the efficient and cost effective alternative to doing all the work on your own. We can provide you with the best office removals in Harrow Weald, as we have been a part of the removals industry for long enough to know what customers require of a good quality office relocation service that is worth it. The way we do business is simple and straightforward, which is a big benefit for our customers as they will be provided with punctual and reliable, no fuss office removal options that will take care of the entire process from start to end. Being a professional removals company, we provide fully comprehensive servicing, as this is what customer really need. We will take care of sorting packing, securing and loading of your office contents and ensure everything is transported quickly and delivered intact. If you are moving the contents of multiple or identical offices, our movers will also label and list the contents of items being moved and make sure everything is accounted for, and distributed accordingly. Good prep work is crucial for a successful office removal, and we are quite aware of this. Our mover teams are made up of qualified, highly skilled professionals who know their work inside out, and will handle each aspect of the removal process with professional pace and efficiency just as required and expected. We understand that besides the most efficient, and affordable office removals in Harrow Weald, customers might also need certain additional service options. Because of this, we also offer excellent single item office removals – a great service for when you need to quickly shift items like servers, water coolers or photocopiers from A to B, without having to pay too much. We guarantee same day delivery for all single item office removals. The company can also organise for clearance and disposal of redundant or damaged IT equipment cluttering your office. If necessary, we can also assist you with specialised storage services. As the leading commercial removalists in Harrow Weald we are going to handle every aspect of your office relocation, including doing the packing of your goods. Our packers will use high end supplies and tested methods in order to make sure that your sensitive equipment and very expensive furniture are transported quickly and without hassle to their newly assigned location. It is just as easy and stress-free as it sounds. 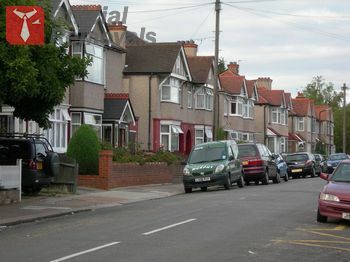 Harrow Weald is one of the best suburban developments in the London Borough of Harrow. One of the better known landmarks that are to be found within the district is the Seven Bulls public house, which is located in the premises of a beautiful old fashioned Grade II listed building on Kenton Lane, which also contains a parade of shops and cafes that many local residents enjoy spending time at and you will too.